If you like your own space then a small villa or apartment is the perfect choice and usually costs not much more than a hotel room. We have a large selection of 1 bedroom villas and apartment located on all four corners of Barbados, many are located down on the South Coast near St. Lawrence Gap, plus a good selection to choose from in Holetown, Speightstown and Sugar Hill. 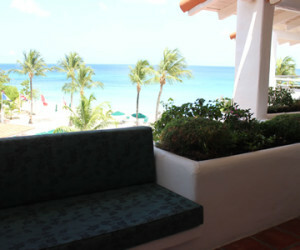 BAA002 A beautifully furnished one bedroom apartment, located on a magnificent west coast beach great for swimming and snorkelling. Moonshine is part of Schooner Bay. BAA032 Amore is part of Schooner Bay, a beachfront luxury apartments centred around a free-form swimming pool and is perfectly situated for relaxing and sightseeing. 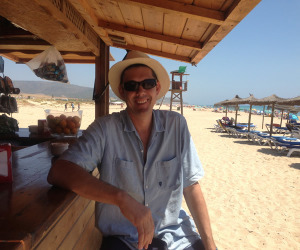 A stunning one bedroom apartment, located on a magnificent west coast beach great for swimming. A spacious and well-appointed one bedroom apartment, located on a magnificent west coast beach Number 105 is part of Schooner Bay, a beachfront condominium consisting of three blocks of luxury apartments centred around a free-form swimming pool ideal for relaxing and sightseeing. BAA004 Schooner bay is a beachfront condominium that consists of three blocks of apartments with a freeform swimming pool as the focal point. 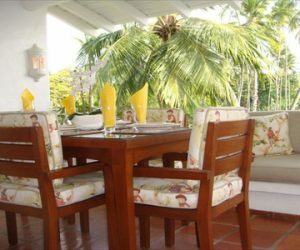 BBS001 A charming self-catering one bedroom villa offering your own private hideaway on a beautiful stretch just footsteps away from Gibbs beach on Barbados’ west coast. BBS022 The Penthouse at Reeds House 1 is a luxury one bedroom condominium situated at the southern end of the Reeds House Complex. 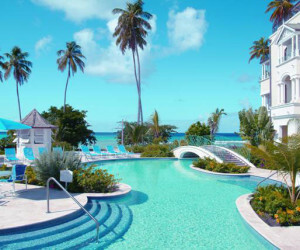 Guests will find spectacular views of the beach and coast from the rooftop sundeck where the spa pool is located. 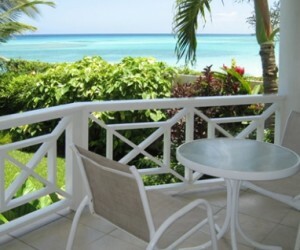 BBV012 Glitter Bay 302 is a 1 bedroom apartment with stunning views of the ocean. Located on the third floor in the first block closest to the beach, this one of a kind apartment affords a superb view of the ocean like no other. 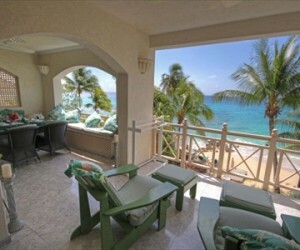 BBV001 Glitter Bay Suites 305 – ‘Ocean View’ is a one bedroom one bathroom apartment. This unit is located in the second block from the beach front and situated just a short drive from the historical Holetown on the West coast. 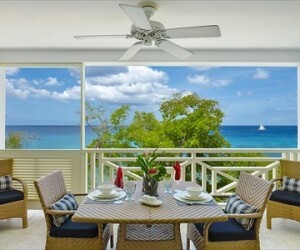 BBV002 A charming recently refurbished condo located in the serene Glitter Bay Estate, "Seize The Day!" 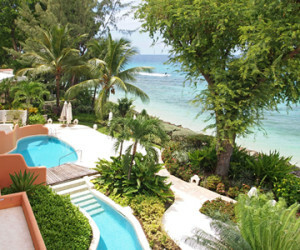 features gorgeous views of both the tropically landscaped gardens and the beautiful Barbados Sea. 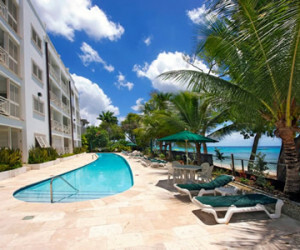 BAA066 Tennis Village A103 is a charming one bedroom apartment located on the exclusive Sugar Hill Resort Community in St James, on the west coast of Barbados. 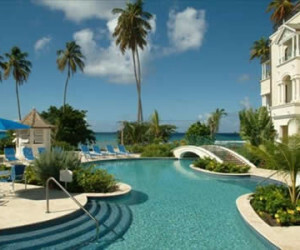 The Sugar Hill Resort is a private gated community within 10 minutes of Holetown. 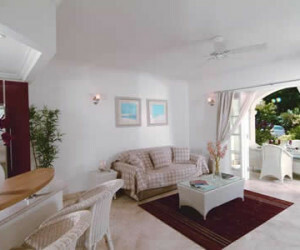 BJL006 Apartment 303 is a one bedroom unit located on the second floor and is situated on Holetown Beach with an incredible view of the sparkling Caribbean Sea. 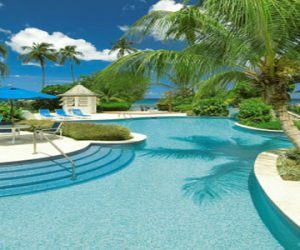 This stylish and well-appointed one-bedroom, two-bathroom apartment overlooks tropical gardens, a 40 metres long lap pool which holds 50,000 gallons of water (chemicals for this size of pool is minimal) and the pristine beach of Paynes Bay on the West Coast of Barbados. 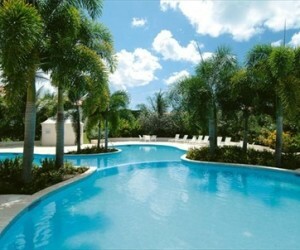 BWC001 An idyllic setting in a tropical paradise, with all modern amenities close at hand. Waterside 405 has a array of vibrant colours creating a warm Caribbean atmosphere. 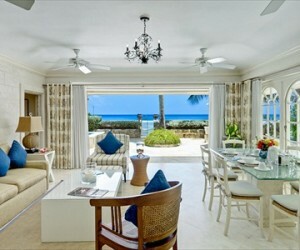 BTC073 Nautilus is a cosy one bedroom, one bathroom apartment, overlooking one of the most beautiful beaches on the south coast of Barbados. The fully air-conditioned apartment features an open plan living/dining/kitchen area, which leads on to the balcony. 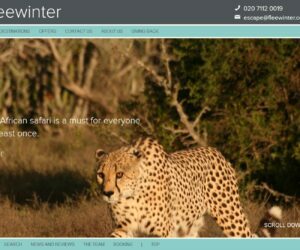 Have a browse, many of our 2 bedroom villas and apartments; also have under occupancy rates so have a look there too, but for best advice email us or give us a call (0207 112 0019) and we’ll make some personal recommendations. Remember, all our prices are the same as a direct booking and all bookings are fully bonded. 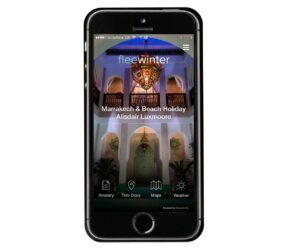 Whether you are looking for your honeymoon or a family holiday, Fleewinter is the place to book. Give us a call for the best advice on how to use your time.